Everything else, the accomodation with utmost privacy, appropriately placed and surrounded amongst lush greens and rock formation, secluded, quiet and serene. All the employees are so well trained, pleasant and armed with that friendly and genuine smile, fantastic and delectable food consistently served n the restaurant. Services were timely and attentive, room kept cleaned twice a day and stocked up with clean fluffy towels. I like it quiet and desolate. We booked the villa with private pool two bedrooms and beach view. It should be a very pleasant stay, but the days we were there was super windy. I'd like to bring my family again here for vocation but the food quality needs to improve. Btw, the resort manager was always on the pier to welcome us and send us away. The restaurant manager was quite responsive that he tried to help us set up a private beach dinner even though it was big big wind. The full service and welcoming attitude of all of the staff at the resort. The food was second to none and there was something for everyone. My new wife and I had a fabulous time taking our wedding pictures here as well. Staff were very accommodating. Thank You! Everything. The dinners, the rooms, the bush walking, the staff, the happy hour! Really spacious livingspace, private pool, and great room service with private butler. Smooth transfer from airport to port and boat to the hotel. I booked the candlelit dinner with my other half, the BBQ was so tasty, had attentive staff making our food and serving us the whole time. The dinner was set up by the sea, really romantic and we would highly recommend it. Our butler even helped us plan our last day in Nha Trang city (after check-out) and really we couldn't asked for better service. Perfect place to just relax and switch off. The resort also offer free bus to the city and pick up same day for those who want to visit the city centre. Lost of complimentary activities on the island too, incl. hiking, yoga, kayaking. The view and villa is amazing! My husband and I spend only one night here. The villa is just as we thought, away from the noisy city, very private space where you can truly relax. It’s our honeymoon, the hotel even arrange sth special for us. Wish could stay more. 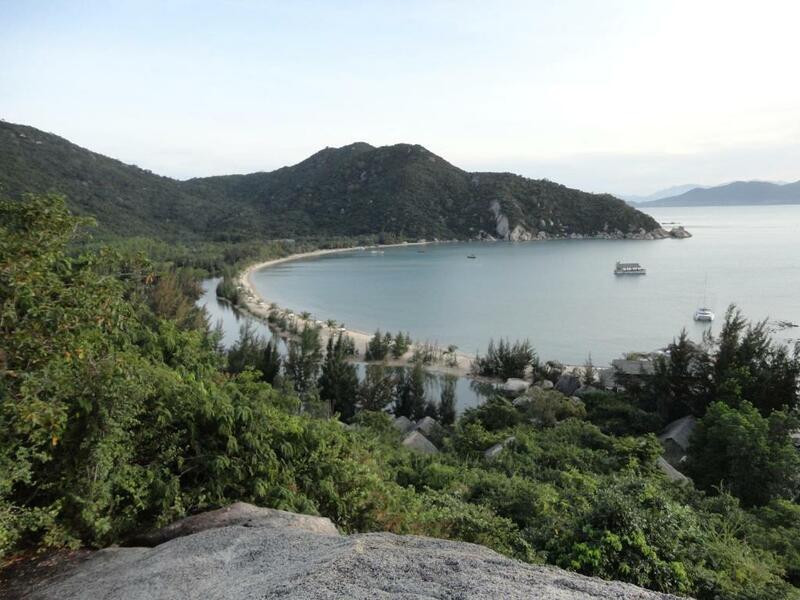 Lock in a great price for L'Alya Ninh Van Bay – rated 8.8 by recent guests! L'Alya Ninh Van Bay This rating is a reflection of how the property compares to the industry standard when it comes to price, facilities and services available. It's based on a self-evaluation by the property. Use this rating to help choose your stay! Featuring luxurious villas with private pools, L’Alya Ninh Van Bay offers peaceful stays in rolling green landscapes overlooking Ninh Van Bay. 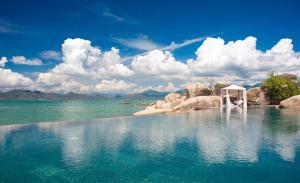 It features an infinity pool, full spa facilities and fine dining. Featuring an outdoor terrace, the restaurant offers seafood specialties and Vietnamese dishes. In-villa dining with a private chef can be arranged. 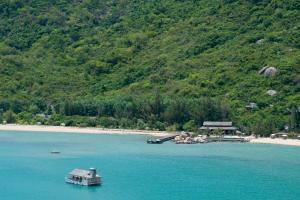 L’Alya Ninh Van Bay is located 9.9 mi from Nha Trang’s city center. The property offers airport transfer service. 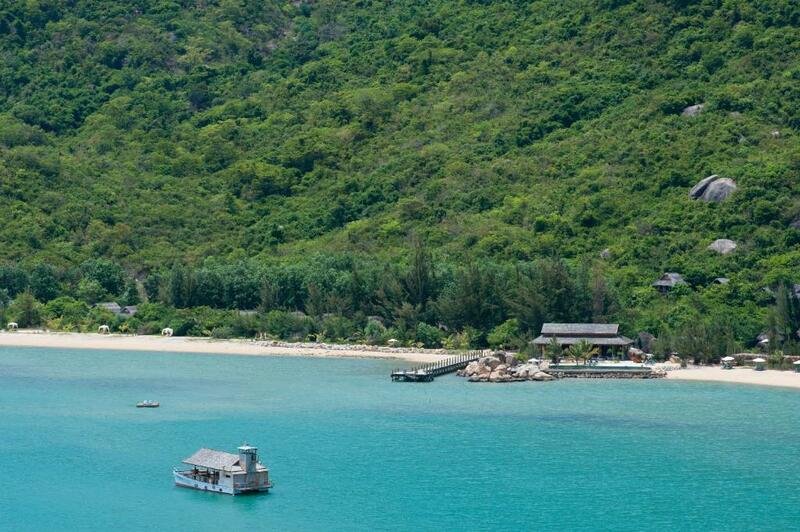 When would you like to stay at L'Alya Ninh Van Bay? This spacious sea view villa features 2 large master bedrooms, 2 bathrooms, 4 shower facilities and a private swimming pool. The living room connects the 2 bedrooms and offer a comfortable sofa. Villa includes 24-hour butler service, one-time speedboat transfer and one-time shuttle service between Nha Trang city and the resort. Please note that the villa can accommodate up to 1 extra bed at an extra charge. Please note that one child aged 3 years old and below stays for free on an existing bedding. Offering views of the sea and tropical rainforest, luxurious villa features a private plunge pool, an open-air lounge deck, dining area and balcony. The separate air-conditioned bedroom includes a mosquito net, a TV and entertainment system. The large private bathroom offers shower facility and a separate bathtub. Includes 24-hour butler service, one-time speedboat transfer and one-time shuttle service between Nha Trang city and the resort. Maximum 2 children from 6 to 11 years of age can be accommodated in this villa when using existing beds. Children Safety Disclaimer form should be signed and sent to the resort prior to your arrival. Kindly contact property for further information. Features stunning views of the sea and lagoon, the villa also features a comfortable bedroom, a large bathroom and a living room with sofa. 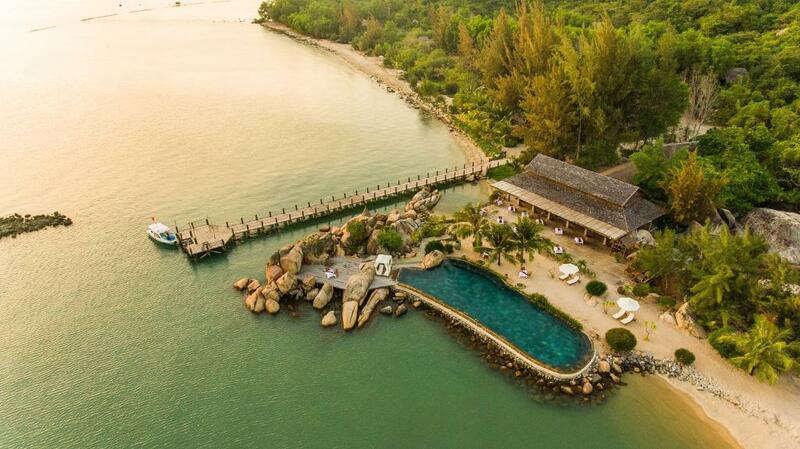 It also has a private swimming pool and entertainment system. 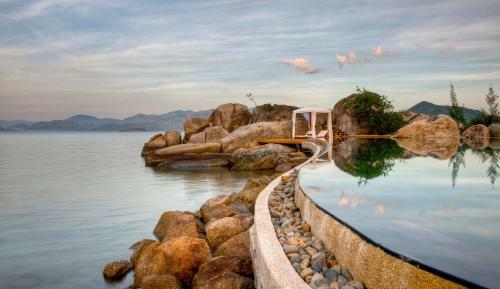 Villa includes 24-hour butler service, one-time speedboat transfer and one-time shuttle service between Nha Trang city and the resort. Please note that the villa can accommodate up to 1 extra bed. One child aged 3 years old and below stays for free on an existing bedding. A 2-bedroom sea view villa featuring a private plunge pool, a very spacious bathroom with indoor and outdoor areas, interconnecting bedrooms and a living area. Villa ncludes 24-hour butler service, one-time speedboat transfer and one-time shuttle service between Nha Trang city and the resort. Please note that the rate is based on 4 guests. Maximum occupancy is 5 (see Hotel Policies) with an extra bed set-up. Opening out to sea views, this luxurious, beachfront one-bedroom villa features a private plunge pool, indoor and outdoor bathroom, and a separate living room with daybed. It has a flat-screen cable TV, iPod dock and coffee machine. Villa includes 24-hour butler service, one-time speedboat transfer and one-time shuttle service between Nha Trang city and the resort. Offering views of the sea and tropical rainforest, luxurious villa features an open-air lounge deck, dining area and balcony. The separate air-conditioned bedroom includes a mosquito net, a TV and entertainment system. The large private bathroom offers shower facility and a separate bathtub. Just leisure 15 minutes speedboat ride away from the mainland, which is offered complimentary, you are greeted by your personal butler. The 33 large private villas with traditional Vietnamese elements are nestled next to a tropical forest features with polished timber frames, and open air with a private plunge pool, separate living space, bathtub and terrace. Each villa has a personalized butler service to attend to your every whim, while rooms are fitted out with every modern convenience including iPod docking stations, wireless internet (free), DVD player, safety box, air-conditioner, coffee/tea percolator, hair dryer, and high definition televisions. We are close to Nha Trang City that tourists can visit the ancient Po Nagar Temple built around 780AD by the Cham and revered by Hindu and Buddhist alike. We can come face to face with the immense white Buddha that presides over Nha Trang at Long Son Pagoda, and can soak up a bit of French Gothic architecture at the Nha Trang Cathedral. 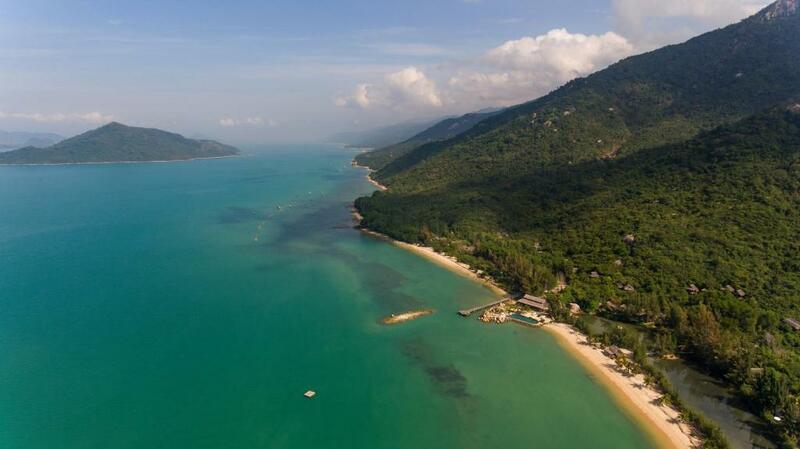 Tourists can wander through the Dam Market, visit a stunning embroidery picture gallery, and finish with a bit of retail therapy or suggest a leisurely drink at a the famous Sailing Club on Nha Trang beach. House Rules L'Alya Ninh Van Bay takes special requests – add in the next step! One child from 3 to 11 years is charged VND 1162982.28 per person per night in an extra bed. One older child or adult is charged VND 1860771.65 per person per night in an extra bed. 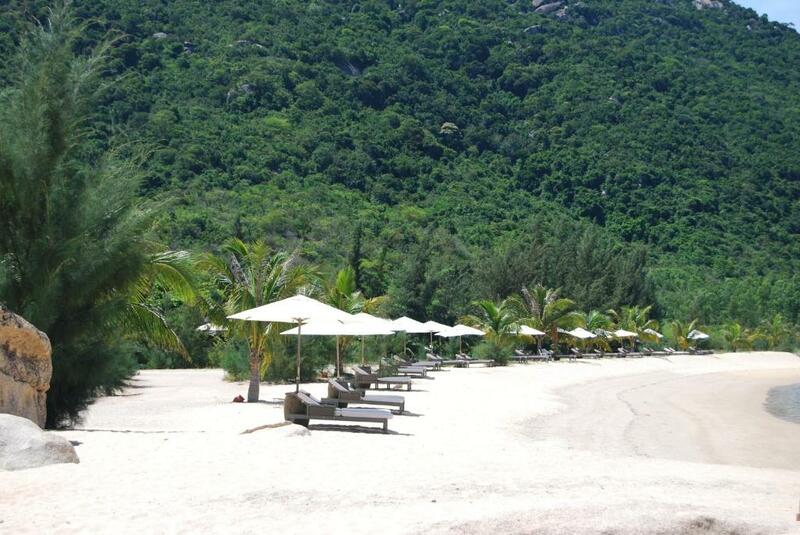 L&#39;Alya Ninh Van Bay accepts these cards and reserves the right to temporarily hold an amount prior to arrival. 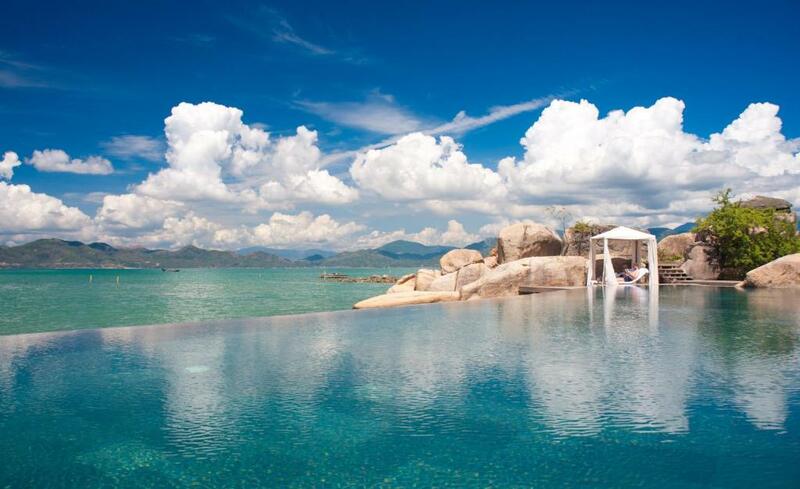 L'Alya Ninh Van Bay accepts these cards and reserves the right to temporarily hold an amount prior to arrival. Please note that the property offers complimentary two-way boat transfers for guests check in at 14:00 and check out at 12:00. Guests who check in and/or check out before or after the mentioned time, surcharge will incur. Rates are USD 70 (or VND 1,610,000) per boat per way per group of 5 guests. Guests are required to provide arrival details at least 1 day in advance using the Special Requests box available or contact the property directly with details from the booking confirmation. Children under 11 years of age are not allowed to stay in Hill Rock Villa with Pool due to safety reasons. All guests enjoy 10% discount on Gala Dinner on 31 December 2018. Some metres from the beach towards the sea, the sea floor is muddy. The pillows gave us really bad neck pain in the morning. Perfect in every way! We just wished we could stay longer! Dao and Vu where brilliant! Restaurant food, not great. Not a great selection of activities, guys at activities area are just sitting playing on their phones. They don’t clean your glassware, just pour away old drink. No cold towels and water when you are tanning in 38 degrees heat. Breakfast selection is poor. Spoken to staff and they said it’s all because they have cut costs ...of which shows. Such a shame! The location of the ferry is not clearly indicated. So it’s not reachable by ourselves from the City centre. It’s a bit expensive to book a car from the hotel to pick us up from the centre. Privacy. Welcoming and happy staff. Food is below average, quiet expensive. Every night we can hear the wind blew the tree and hit on our windows. It was scary at night because of the noise. My butler was quiet nice and helpful but he was sick at that time and had to help with others. We don't see him as much. We were expecting the food to be better. It was a pity that we couldn't ride on the speed boat because of the weather. The worst deal of my life in terms of value for money. The service was awful and everything was absolutely overpriced.